Here is another "member of the press" seen in the original Cars...Matti! 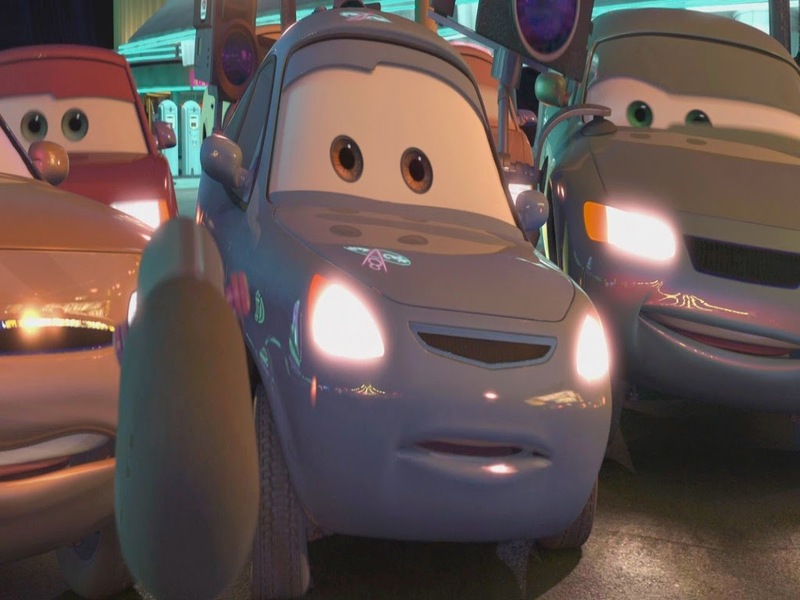 As seen in the screen shot above, Matti makes his brief appearance when Mack and the reporters finally find Mcqueen in Radiator Springs before the big race. 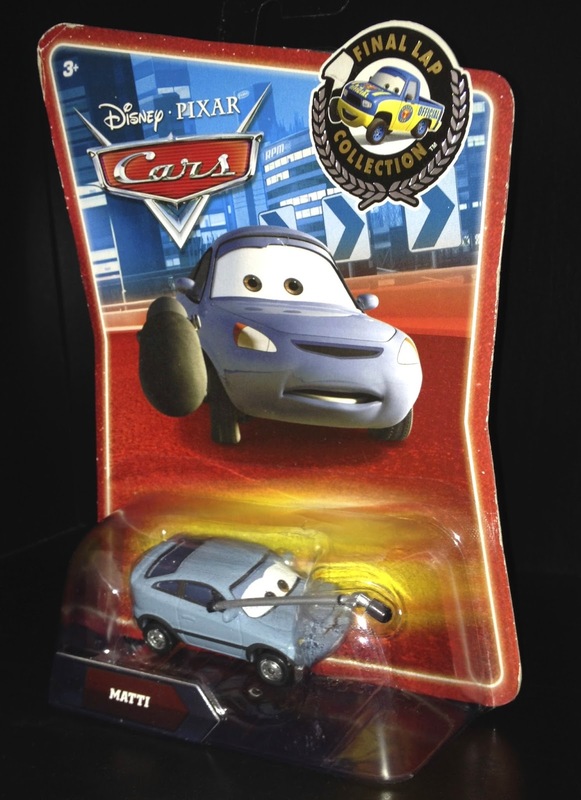 This car was released only in the "Final Lap" series and in a "Lenticular Eyes" 3-pack with Crusin' Lightning Mcqueen and Bert (another reporter). Between the two Cars films, there are many reporters and members of the press seen. It's interesting to see Mattel's choices on these characters since they're all shown so briefly.